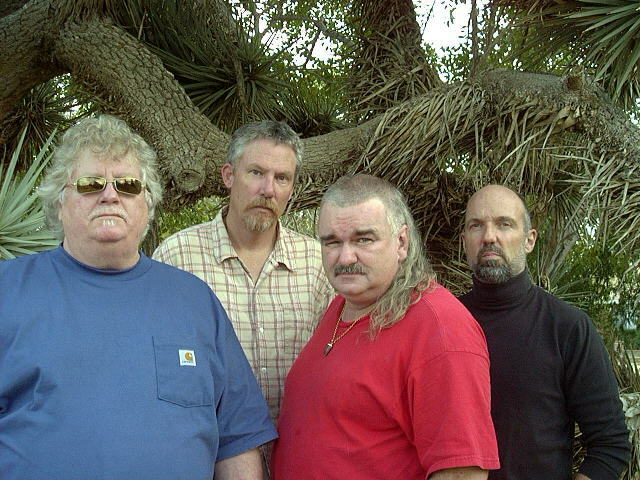 After 20 years, Captain Beefheart's Magic Band reunited. Without the Captain, but with a lot of original Magic Band members. 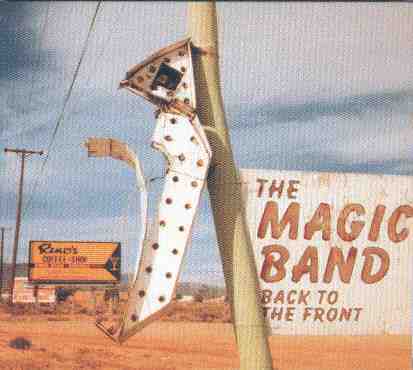 The news of the Magic Band reunion was brought to the world by Bill Harkleroad. During an interview with Patrick Neve at Patrick's radio show ('The Big Note', Campus Radio, Eugene, Oregon - also on the internet) in October 2001, Bill Harkleroad mentioned that he had gotten together with Denny Walley, Mark Boston and John French. They had met and rehearsed for a couple of days in Los Angeles, California. The project was funded by UCLA Performing Arts who want to put on a show with Beefheart paintings, video projections and a 40 minute set from the reformed Magic Band. The goal was to have two shows at UCLA, one in London and one in Stockholm. As they had gotten no response from Jeff Cotton, Denny Walley took his place on the guitar. Mark Boston is on bass, John French on drums and Bill Harkleroad on guitar. Bill Harkleroad said the rehearsals went well and he felt he played better than when he recorded "Trout Mask Replica" - as being a better musician now, he felt more relaxed. The titles they played were 'Steal Softly Through Snow', 'Hair Pie Bake 2', 'Moonlight On Vermont' and Bill / Zoot had relearned 'One Red Rose That I Mean'. They plan to do everything without vocals. 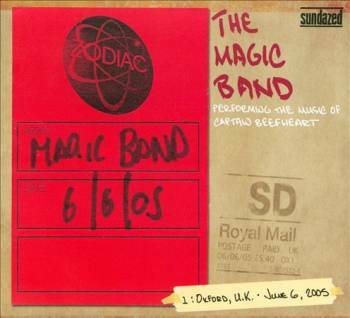 Captain Beefheart's legendary Magic Band reunites after 20 years! 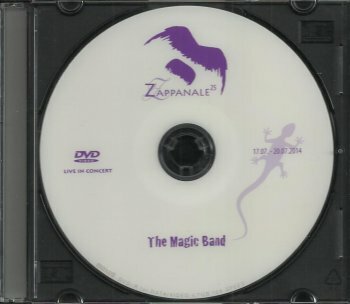 The Magic Band is slated to record in Winter 2002 and perform at two upcoming All Tomorrow's Parties festivals and at the Shepherd's Bush Empire in London. 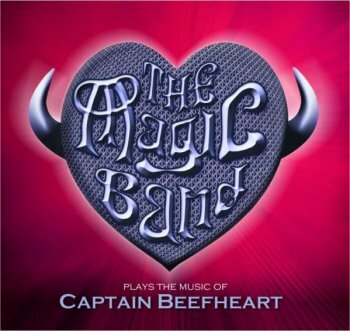 After over 20 years dormant, Captain Beefheart's legendary group, the Magic Band is slated to reunite this year. The news comes after the members' decision to accept a request to perform at the upcoming All Tomorrow's Parties festival in the UK, which will be curated by notable experimental/electronic group Autechre April 6th, at London's Shepherds Bush Empire on 7th April and yet another All Tomorrow's Parties festival, this time in Los Angeles. The L.A. show, which will be curated this year by visionary animator/producer Matt Groening and was curated last year by Sonic Youth, will take place on the campus of UCLA but also at other selected venues in downtown Los Angeles. For Beefheart/Magic Band fans these are momentous occasions. For those unexposed to their genius, the shows will be a rare chance to experience the wildly influential and seminal group first hand. purchase, among other points, at the UK All Tomorrow's Parties festival in the spring and will be widely available in early summer. Eventually, before the first concert took place, Bill Harkleroad couldn't make it, and got replaced by Gary Lucas. During the first two concerts, Robert Williams also participted. He was replaced by Michael Traylor. Captain Beefheart's legendary Magic Band have reunited and we are playing their set from the All Tomorrow's Parties festival in it's entirety on the show. The Magic Band will include Mark "Rockette Morton" Boston on bass, John "Drumbo" French on drums, Gary "Mantis" Lucas and Denny "Feelers Reebo" Walley on the Guitars. The band decided to regroup so they could perform at the All Tomorrow's Parties festivals. They also recorded their rehearsals for the festival which people were able to buy from them at the festivals and they will be available to the general public this summer. 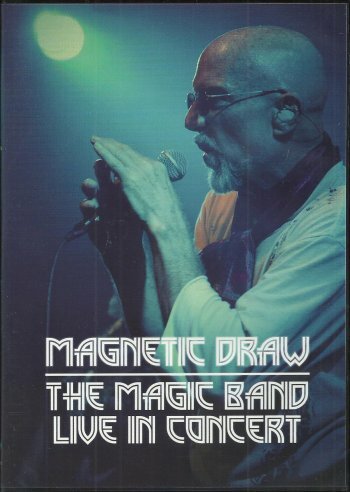 last week i went to the concert by the magic band at paradiso in amsterdam. whatever the reasons might be, captain beefheart always has been more popular - i mean, better understood - in europe than in his home country. because of the similarity of the languages, it's logical great britain has the biggest number of fans - so touring our continent, most gigs took place at that island. but given the language barrier a maybe relatively even bigger group of 'followers' could be found on the mainland. during the visits to europe the band regularly went 'abroad' and especially holland and france were favourite destinations. as the reunion of the magic band lasted longer than many people had expected and invitations for more shows came in, it just seemed a question of time for the group to re-discover western europe. and indeed, on the first day of the summer of 2004 the old beefheart companions were back in amsterdam in holland, as the start of a two week tour mainly leading through the united kingdom (again). we had arrived at the scene early enough for an easy acclimatization and a bit of 'investigation' into the background of the audience (continued during and after show). which appeared to be a strange mixture of 'sub-cultures'. of course, there was the core of dutch beefheart addicts which had come from far and near to see the performance, if they weren't from the neighbouring countries belgium and germany. remarkably, however, was the overwhelming presence of frank zappa fans who hoped to find out more about his legendary guest captain beefheart. due to its international character, amsterdam also houses many english speaking residents and tourists (like a guy from canada who video taped the event!). so, a quite astonishing fact was that half of the conversation was done in english. as is customary to 'difficult' music, the majority of the public was male, yet a considerable number of women had shown up. although the gig hadn't been sold out - the two balconies stayed closed - the central floor was well occupied, which according to regular visitors meant the magic band had attracted about 600 people. not only the fact that the audience wasn't pressed together made the stay a pleasant one, the circumstance that there were hardly any (fucked up) teens and twens also contributed to the general feeling of comfort. meanwhile, the sphere was very relaxed. no wonder, because the hall was filled with such thick clouds of hash smoke that everyone was high - even folks who dare to claim they never use drugs! the magic band was in a similar mood, beit that the guys at first had some trouble finding back the overall musical co-ordination after five months in which they hadn't seen each other. for instance: their first public performance of 'the smithsonian institute blues' wasn't as perfect as the rest of the program. and john french hadn't sufficiently warmed up his vocal cords (compared to the album versions), though not too dramatically. after opening with a couple of songs, the group switched to a set of instrumentals, which included solo pieces by gary lucas and mark boston (with the 'bass hair pie', of course). during this section the ensemble got as it should be, and you could see and feel how the growing joy the musicians had in playing led to excellent executions of particularly some 'trout mask replica' classics. consequently, the audience turned wilder and wilder from enthusiasm. as expected, they also did a magnificent encore which contained blistering versions of two of our favourite songs. amazingly enough, after one and a half hour of great music we still had the foolish cheek to ask for more - but our desperate request was in vain. however, nobody cared, because it had been a very pleasant evening for all. despite a few technical misfortunes like no sound from denny walley's guitar during most of 'abba zaba' and occasional adjustments of the vocal microphone, the total mix was in fine balance, and the passionate performance proved that captain beefheart's unusual music still is very alive and kicking. (john 'drumbo' french:) It's basically the Shepherd's Bush concert from April last year and it's basically the concert with the dead spaces in between edited out. I think it's a really good show. It was done on a sixteen track Apple Macintosh and I think they used four cameras. It wasn't really planned as a concert DVD. The producer was Elaine Shepherd - she's a BBC producer and she produced The Artist Formerly Known As Captain Beefheart - and the concert footage was supposed to be for a documentary but she shot the whole concert and at the end of it all she was looking at the footage and said: 'You know, I think we could actually put together a concert DVD out of this' and that's how it came about. The sound is really good, it's going to be in 5.1 sound except everything crashed on the last two songs and we only have a stereo stage mix of them so we're calling them 'bonus tracks'. Disc 2 is the documentary called Like Bluegrass Only Weirder and I think it flows really well. It shows us at the Back To The Front sessions in Palmdale and rehearsing for the first time when we got back together to play and each of us is talking about how good it feels to be playing the music again. There's footage of Matt Groening coming to hear the rehearsal and there's an interview with him, then there's some vintage 8mm footage I shot of Don in the early 70's, then it shows us winding up in London and driving down to Camber Sands, then there's some rehearsal footage and you see us being interviewed by the press. Any idea when the DVD will be seeing the light of day? We have a very influential person who has agreed to do the voice over and the narration for us so we're waiting until that has been done. That's going to take another month or so then it should be out really soon after that. I'm really excited about having the person who's going to be doing this on board but I don't want to give anything away. The DVD will be available through the internet at themagicband.com [http://www.themagicband.com]. Basically I think we'll start doing it by mail order and take it from there. 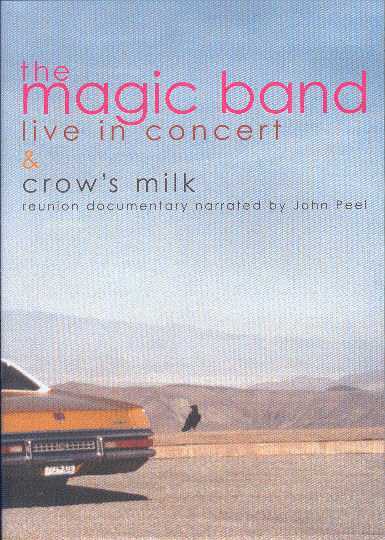 Due to delays beyond our control, the new Magic Band DVD release has been set back by a few more weeks. The DVD should be available for shipping during September 2004. 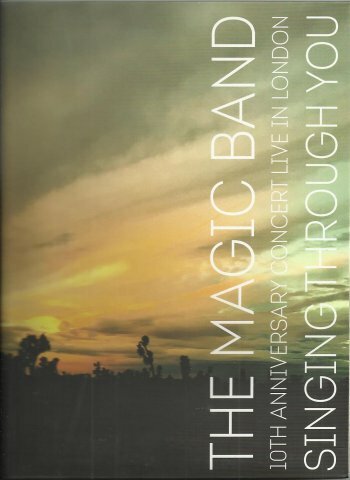 A CD of The Magic Band playing live at various venues during 2003 and 2004 is being released on Proper Records to coincide with their recent UK tour. 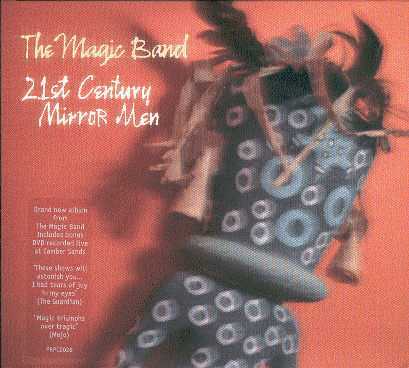 Entitled "21st Century Mirror Men" this CD, with a bonus DVD of live peformances will be available from 16th May.